Reports of celebratory gunfire are coming in from Gaza after terrorists bombed a civilian bus in Tel Aviv today. Loudspeaker in central #Gaza announcing news of bus bomb in Tel Aviv, praising Hamas. Heard what sounded like celebratory gunfire. 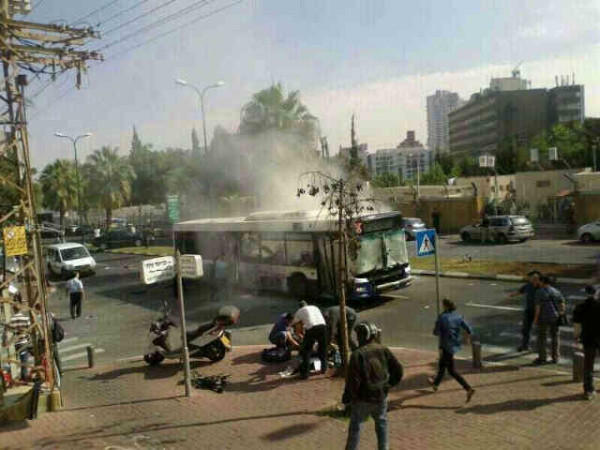 We are seeing reports out of Gaza that Hamas is celebrating the fact that a bomb exploded on a bus this afternoon in Tel Aviv. Two bombs were planted on a bus near the Ministry of Defense, but only one exploded. It appears civilians were the target; injuries range from moderate to severe. Some ceasefire, huh? 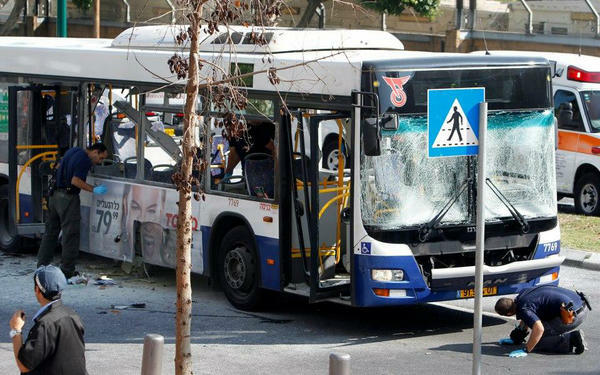 The target of the terrorist bombing was a regular metro bus and its civilian passengers, not the Israeli Ministry of Defense. 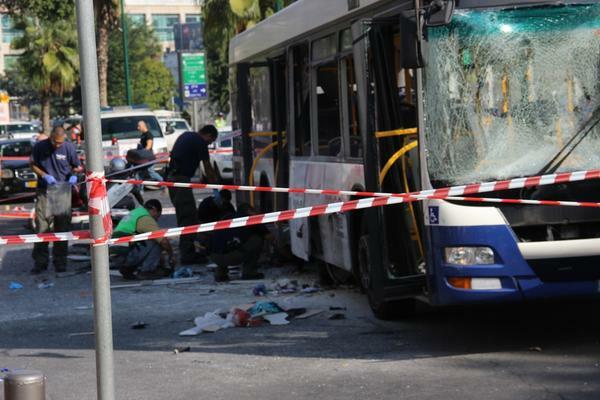 Another bomb,which did not explode,was found on the bombed bus in Tel Aviv. The police is combing the area for the terrorist who planted it. MDA: all of the wounded were evacuated to a nearby hospital. 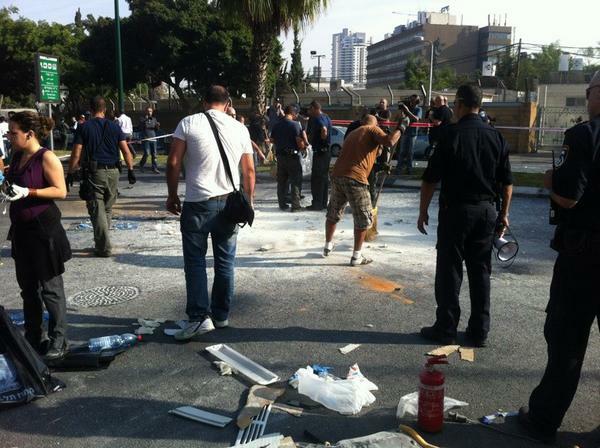 Police asking ppl to stay away from central #TelAviv. Terrorist who placed bus bomb still at large. There are reports that Hamas took credit for the attack, but wrongly called it a suicide bombing. 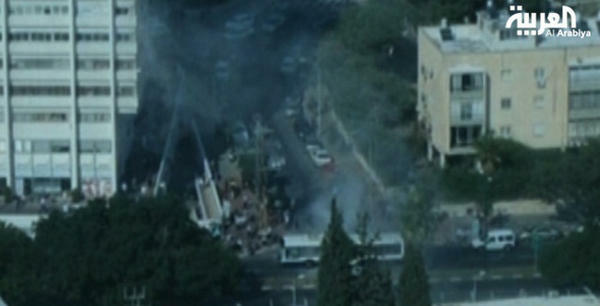 Channel 2: #Hamas takes credit for Tel Aviv bus bombing, says it was a suicide attack. Hamas took credit for 'suicide bomber' before finding out their guy chickened out and just tossed bomb on moving bus. No virgins for him. Other reports suggest Fatah is claiming responsibility. I condemn the horrendous bombing attack on a Tel Aviv bus & wish a full & swift recovery to the many wounded. Terror will not defeat us. Twitchy will monitor this developing story and update as more information about the attack becomes available. The Israeli Ministry of Public Security is not yet releasing information about which terrorist group was responsible for the bus bombing. As far as I know no acceptance of responsibility for Tel Aviv attack on Hamas official media since mosque speakers claimed it for therm. The bomber is still at large. Reports indicate as many as 23 people were injured. Two teenagers sustained the worst injuries. WH on Tel Aviv "terrorist" attack: "attacks against innocent Israeli civilians are outrageous. The United States will stand w … Israel"
Are they sure it wasn’t a spontaneous protest of a YouTube video? Today’s bombing is likely have an impact on ceasefire talks. And some wonder if the Tel Aviv attack will hasten an Israeli ground offensive against Gaza. Struggling to see how Israel avoids a ground invasion if there really was just a bus bombing in Tel Aviv, which seems to be the case. The IDF shares a video of Hamas TV celebrating the news that Israeli civilians were targeted in the bus bombing. VIDEO – #Hamas TV After Tel Aviv Bus Bomb: "God Willing, We Will Soon See Black Body Bags" http://t.co/mCrqk5ZW RT so that everyone sees.